you to one of Björkliden’s best spots. The course of the tour is dependent on snowand weather conditions. Note: Recommended minimum age is 7 years. driving license. 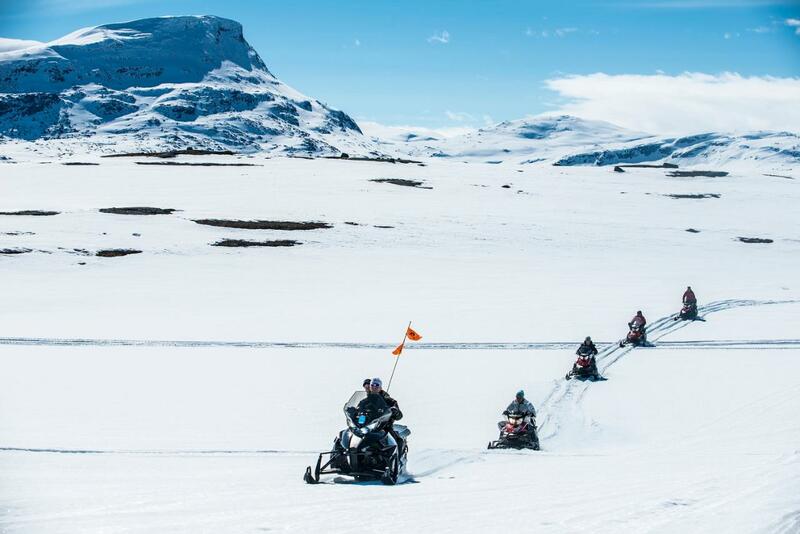 Younger participants ride behind or in a sled behind the guide.